With over a million mobile apps for both iOS and android platforms, it is easy to jump on the mobile app bandwagon and get one for yourself. Especially in today’s times, when creating a mobile app isn’t rocket science. Mobile apps are fast, more people are using them and they are at the cornerstone of human and technology interaction in the modern world. Incorporating a mobile app with your brand or business isn’t easy, as it requires a pre-planned strategy, robust resources and attention to quality. Building a successful mobile app for iOS and/or android comes with an app development lifecycle which includes – research, technology assessment, prototype building, design and so on. However, before you get to that, allow us to talk about the 3 mistakes to avoid before mobile app development project from scratch. If you’re new to the world of mobile app development, it’s is important to develop a clear roadmap on how to achieve a responsible, reliable and engaging mobile app. 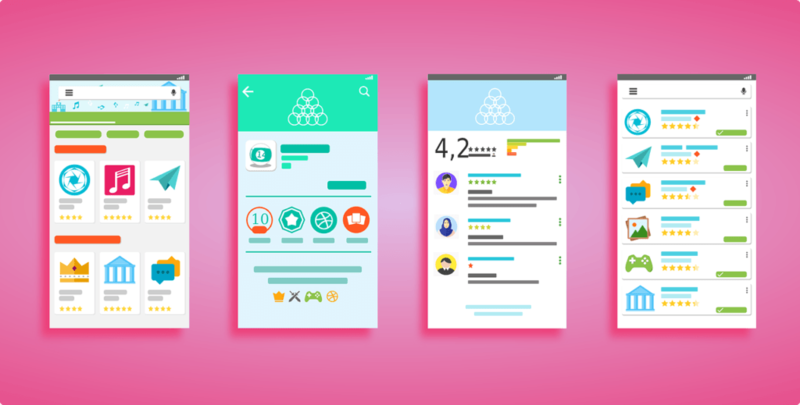 Whether you are a new brand or an established business, this article will help you avoid these 3 mobile app development disasters. 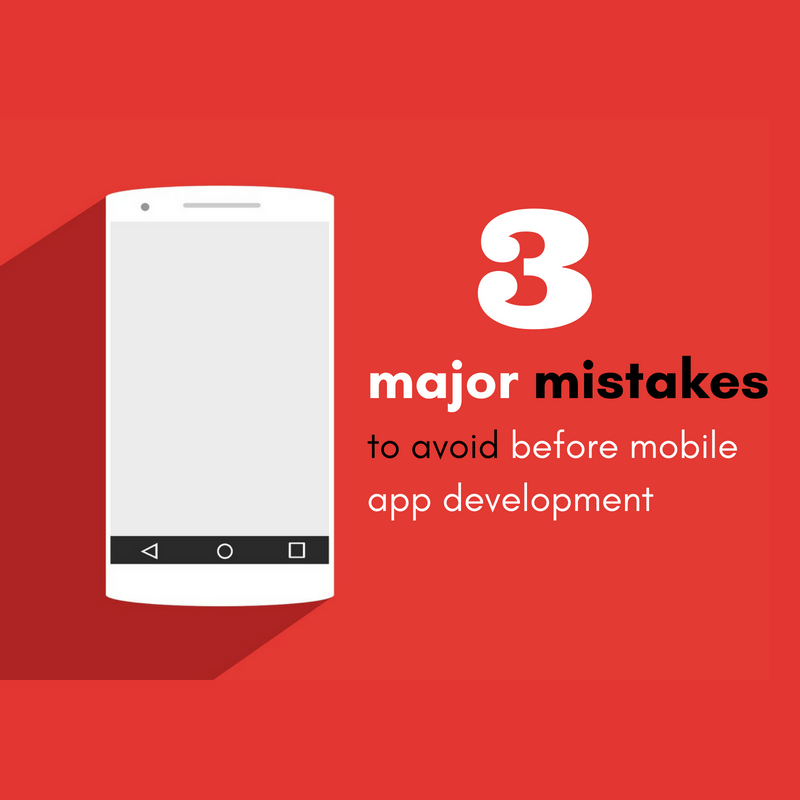 So, what are the 3 major mistakes to avoid before mobile app development? Do you like when someone turns up late for an important meeting? If the answer is no, you probably know, the frustration and inconvenience caused by a delayed project. Before you start finding a mobile app development company or start mobilizing your in-house app developers, it’s important to set a project timeline. Timing is the key when it comes to building mobile apps. If you don’t have a truly unique idea for a mobile app, chances are, your competitors might take advantage of your slow planning (or lack of it) and steer ahead. 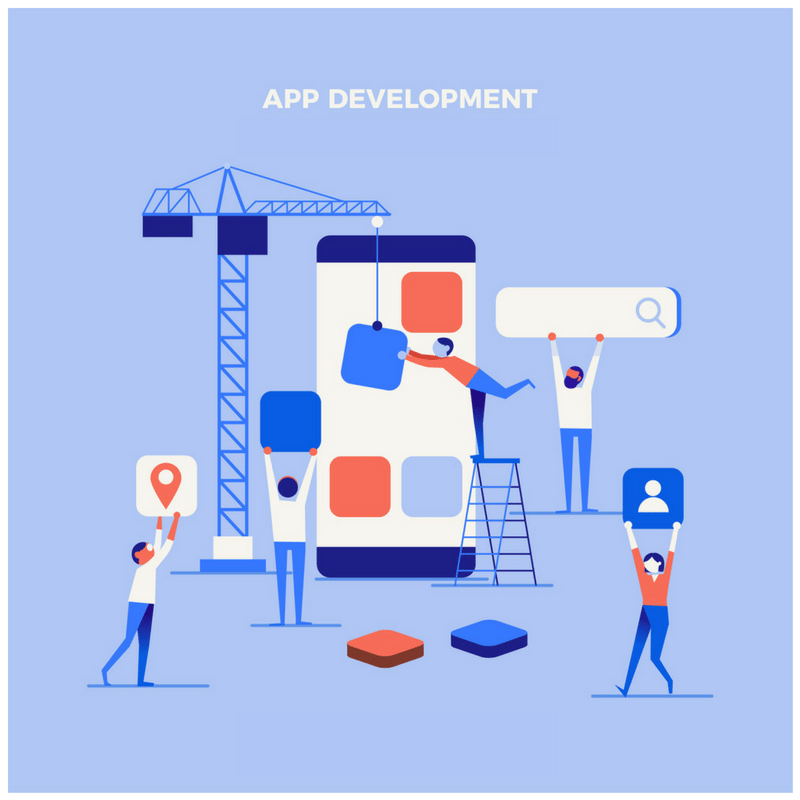 Thus, before you start searching for a mobile application development company, put a plan and a clear roadmap covering each and every stage of app development. A typical timeline for app development is around 18 weeks. Set up a phase wise timeline. From design and mock-ups to app development, quality assurance and launch phase, plan everything out and put a time around each. As is the case, quality takes time. That’s why building good mobile apps will also be a time-consuming process. To ensure maximum results and minimum wastage of time and resources, plan a realistic timeline before building your mobile app. What’s your budget for developing a mobile app? This is an important question before you dive deep into the pool of mobile development. Basic apps with no-internet backend support will cost you less whereas an app with full-server support and robust features will cost you more money. That’s why it’s important to put budget into consideration. Once you do that, the next step is to decide whether outsourcing your mobile app development will be more economical than hiring an in-house development team. Countries like India are usually a great option to outsource the app development project and cut significant costs on the entire project. Indian app developers have the right experience, credibility and reliability to save you money without compromising the quality and experience of your business app. If you are wondering how to plan a budget for your mobile app, there are a bunch of free app cost calculators available online, including this one. Budget planning is a time consuming process but in the longer run, it’s always a good idea to proceed with a plan. Typically, businesses that outsource their mobile app development to mobile application companies make a common mistake of not getting involved enough with the process. No matter how much a team is proficient in app design and development, they should never operate without your involvement. Whether it’s your first mobile app or fifth – it’s always a great idea to stay on top of both the internal and external development efforts. And how do you do that? By regular meetings and open communication. As a business, your goal should be to encourage conversations and brainstorming between different teams and professionals involved in app design. Mobile app development works well when there’s transparency is involved. Anybody who’s ever developed a mobile app knows that surprises are a part of the journey. To make sure the surprises are pleasant, it’s important to inculcate transparency between the project manager, developers and designers. Open communication promotes continuous engagement and helps to keep everyone on same page. Thus, lack of involvement in the process is definitely a mistake to avoid before mobile app development. Final Words The results are in. Developing a functional, engaging and responsive app is the need of the hour and to ensure the results are positive, it’s important to avoid these three major mistakes to avoid before mobile app development. Remember – every minute, every dollar and every resource counts. The key to avoid nightmares during your app development projects is based on avoiding mistakes that have been done in the past by others. If you want to get from point A to B, you better be prepared for a journey filled with excitement, frustration, joy, dissatisfaction but above all, learning. Are you in the middle of a mobile app development project? Or maybe you are just starting with the project? Either way, your business can leverage the knowledge, expertise and reliability of Indian app developers from Moptra. We are India’s leading mobile app development company with an expertise in designing and developing fast, feature-rich and scalable mobile apps for iOS and android platforms. If you’re searching for mobile app development in India, get in touch with us! Not only we can guide you through the process but we can also give shape to your vision of a world-class mobile app! Moptra Infotech Pvt Ltd was incorporated in the year 2015 when leading professionals from software solutions development industry envisioned the need for a team which could work with their customers as extended teams for developing solutions and not just vendors. Copyright © 2017 Moptra Infotech Pvt Ltd. All Rights Reserved.